I am Helen Keegan, a veteran of mobile marketing, advertising and media since 2000. 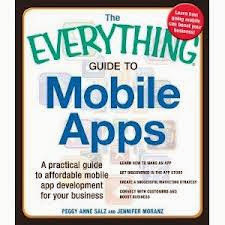 This is my diary and musings about mobile since 2004. I am part consultant and part events organiser in London, Barcelona & beyond (Swedish Beers & Heroes of the Mobile Fringe). I write here about mobile tech and media, and some other stuff too. This one isn’t just for professional PR people. It’s for people who have to do their own PR for their website, their mobile app, their charity, their hobby project, or whatever. I don’t know why people find this PR stuff hard, it really isn’t. It’s thinking about the other person instead of you and following some very simple rules. Mike Butcher of Techcrunch Europe fame has nailed it with this slideshare and video of the presentation he did of it at Startup Week 2011 – and it’s relevant for all media and PR, not just technology. Read it, watch it, absorb it and share it. 2. Make sure you have news. No-one really cares about your company/charity/project in and of itself. You have to create the story and the reason for them to care. An iphone app launching is definitely not news. A business starting is not news. A new hire is unlikely to be news unless it’s an absolute coup that you got them working for you in the first place or you stole them from under the nose of a competitor. 3. Embargoes are pretty much worthless. 4. Don’t send attachments. Definitely don’t attach large pdfs or image files. You know busy people read their mail on their phone a lot of the time, don’t you? Adjust your style accordingly. 5. Plain text emails please with key messages up front. Bullet points make it easier to digest. Especially on a small screen. 6. Don’t bug the recipient about writing the post about you. They’ll either do it or they won’t. There are 100s of reasons why they might not write about you. The main one being they probably don’t have time with everything else on the to do list. Bugging them probably won’t help you. 8. Sending everyone the same press release isn’t interesting. You need a personalised approach – especially with mainstream media and larger blogs. Any tips to add here? Update: Here's a great slide deck from Mike Maney from Alcatel Lucent with his tips on influencing the influencers. Well worth a look too while we're on the topic of PR. Keep it clean please. Spam will be removed. And thank you for taking the trouble to read and comment. I appreciate it. I'm one of the 25 expert contributors.